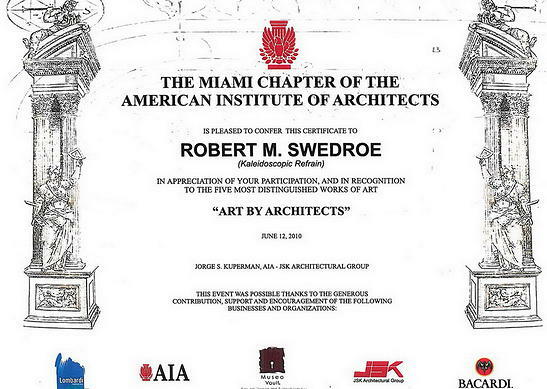 Within a year after Robert Swedroe returned to collage-making, nine of his works were sold to various art collectors. Most sold in the $5,000 – $15,000 range. 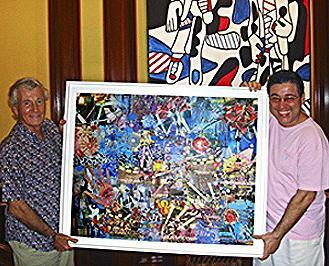 Four collages were also delivered to Itchko Ezratti, a prominent international collector pictured below with Mr. Swedroe. His purchase included the award-winning 42″ x 32″ collage, “Boys in the Band,” which was hung next to a popular work by Jean Dubuffet.